Adding a quality whey protein to your daily diet when you are following a workout routine can have a great impact on your muscle growth. There is a reason whey protein is one of the most popular supplements among bodybuilders. However, the popularity also resulted in a storm of low-quality products into the market. That makes it very difficult for people to find the right product. This is why we have selected one of the best whey protein products and reviewed it in order to find all the reasons why it may be a good option for your protein needs. 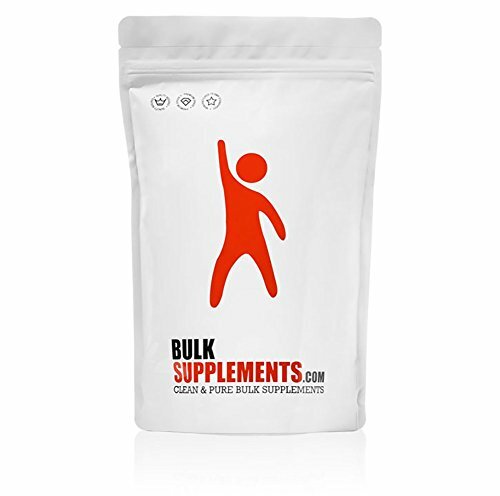 The product comes from BulkSupplements, a company that has an FDA-approved manufacturing plant situated in Nevada, USA. They are also a well-known brand for their pure products, and same is the case with their Whey Protein Powder Isolate. Out of their 400 different products, Whey Protein Powder Isolate is a type of protein extracted from milk. It supplies all the essential nutrients that help in muscle building. A kilogram pack of this product contains 90% protein, and a single serving has 155 calories. It also contains saturated fats, cholesterol, carbohydrates, lactose, calcium, phosphorus, magnesium, sodium, potassium, milk, and soy. The product is free from additives, artificial flavors, fillers, yeast, gluten, and corn—ingredients that are known to cause side effects. The whey ingredient used in its production unflavored and micro-filtered. Regarding the usage of the Whey Protein Powder Isolate, Bulk Supplements claims that it is safe for both men and women. You can take fifteen to thirty grams of the supplement in a day, or you can take it according to your physician’s suggestion. This makes the quantity enough to last for more than a month. Do note though that the daily intake may vary from person to person. Intake may depend on the weight as well. If you are a weightlifter, you should take one gram of protein for every kilogram of your body mass. You can also have 0.36 grams of proteins for each pound of your body weight. Consumption-wise, you dissolve the powder in a glass of water before your workout session. Otherwise, you can mix it in your favorite drink as it is flavorless. Most of the gym trainers recommend taking the product immediately after gym sessions and avoid taking it before going to bed. As the whey isolate contains the highest amount of protein, this powder is a great supplement. Not only does it help it build the muscles, but the product also helps maintain and boost the muscle mass and strength. The supplement also aids in the repair of muscles that you break during your workout session. It also lowers the muscle soreness and fatigue commonly felt after workout sessions. Being rich with proteins, this whey powder by BulkSupplements also reduces your appetite. So, it becomes easy for you to control your diet. The product also helps increase your metabolism; hence, it burns calories during workout sessions much faster. Additionally, the supplement burns body fat and shows incredible results in combination with daily exercise. The Whey Protein Powder Isolate is amongst the most popular supplements produced by the USA-based company BulkSupplements. Being inexpensive, the product is excellent for regular consumption. Although recommended to be used in combination with workout sessions, even if you don’t do regular exercise, you can still use this whey powder as it helps to repair and build muscles and curb your appetite. Thus, you can stay in shape without doing heavy weightlifting exercises. This protein powder is loaded with the right amount of protein and other nutrients, as well as free from artificial ingredients. Do note though that it is not designed for people allergic to lactate and soy. Nonetheless, this supplement is an excellent choice for those who don’t like flavored protein. You can even mix the powder with strawberry, chocolate syrup, or can have it with iced tea or any of your favorite drinks. You can find a lot of good options in the market when it comes to whey protein supplements. As such, we tried to find another excellent option that we can compare the whey protein we reviewed to see how it fares. Of all the choices, we picked the MuscleTech Premium Gold Whey Protein Powder. Both are easy to digest and are best for rapid recovery after tough workouts. They also almost use the same ingredients and are available in the same quantity, which is one kilogram (2.2 pounds). The price is also almost the same, but BulkSupplements’ whey powder is slightly expensive. Both are protein powder isolates, with a high concentration of proteins. The MuscleTech Premium is a mixture of protein isolate and peptides, with a high amount of amino acid and leucine. However, when you compare ingredients, BulkSupplements uses more ingredients to provide you with more diverse nutrition. When we compare brands, BulkSupplements is comparatively better regarding brand recognition and quality of products. They have an FDA-approved manufacturing plant which makes it a safe option. With more than 400 products, it also offers a better variety of options. Another key difference is that MuscleTech Premium is a flavored whey protein, while BulkSupplements is unflavored. The MuscleTech Premium comes in a better packing as it is contained within a reusable jar, but BulkSupplements comes in a plastic packet. For those who are looking for a high-quality and pure whey powder isolate, the BulkSupplements Whey Protein Powder Isolate makes an excellent option. This flavorless powder comes in a sufficient quantity to last long and has no additives. It can help you burn excess fat quickly while building lean muscle mass at the same time. Overall, it is an easy-to-digest and rich in nutrition protein powder. It is among the safest options as the brand is based in the USA. In addition, their manufacturing plant is also approved by FDA.